We are Cloud backup let businesses move important data off-premise, whether it be corporate documents, data backups or archives. 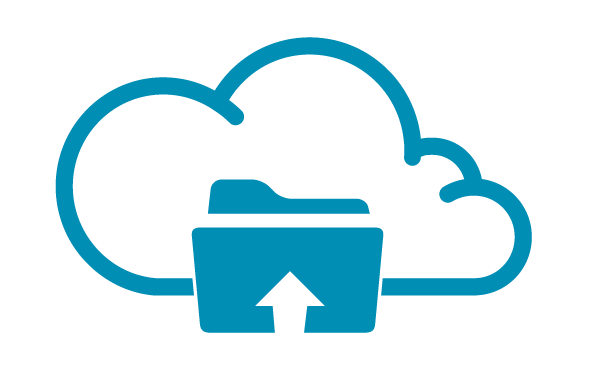 Cloud backup means that data is stored in a highly available distributed fashion, allowing you to always have access and also to pay as you grow, giving you the ability to add or remove capacity as needed. With obligations to retain ever-increasing amounts of data for longer periods, businesses are finding it harder than ever to keep everything in-house. We Are Cloud provides a secure cloud-based service backing up local data whether it be desktops, servers or laptops to the cloud. You simply purchase users and storage from We Are Cloud, then install the client based software on to your existing on-premise devices and setup the backup strategy you wish to use. Where tape is unsafe & unreliable, online backup allows for truly agile incremental backup policy, maximising efficiency and minimising storage and bandwidth overhead. Cloud Backup is more secure than tape – fact. Access to data is granted solely via an encryption key, with client side encryption at 128/256 bits AES or 448 bits Blowfish. The solution also features WebDAV – NGINX secure data transfer , and there is no storage-side decryption. Data restores and how they are performed have a critical impact on Business Continuity. Restoring data with Cloud Backup is quick and easy - you do not have to restore data sequentially or transport data physically. Simply choose your desired restore - System State, Local Speed Vault, Virtual Drive, Exchange restore, or Single File on a virtual machine. We are Cloud Backup allows smaller backup windows, has low resource requirements, and supports all commonly used platforms & databases. Before sending the form, please correct the fields marked in red. Your message has been sent successfully. You will receive a reply shortly.